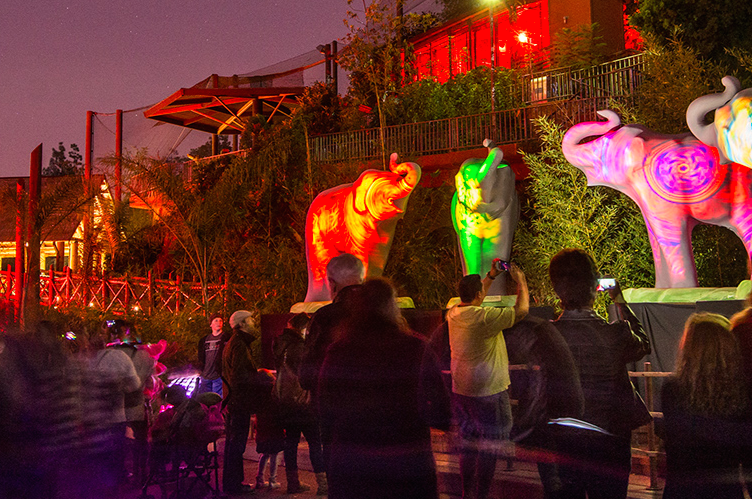 Avail of LA Zoo Discount Tickets $7.50 and see L.A.’s favorite holiday tradition shine with more lights and more nights this year. 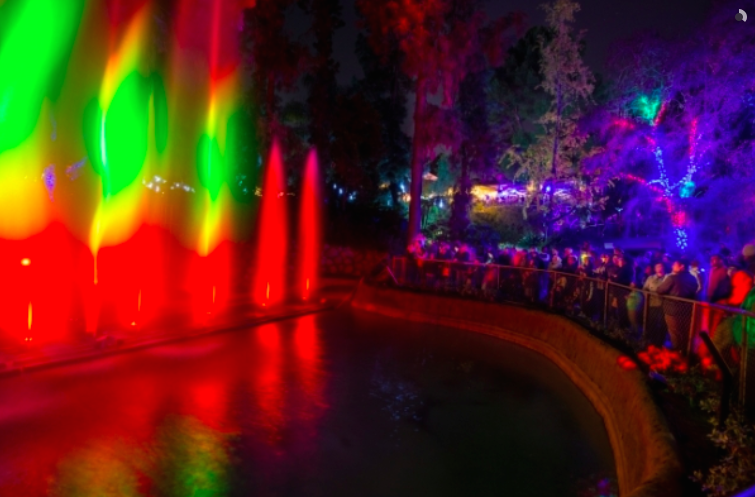 At the LA Zoo Lights 2016, as the animals sleep, you’ll take an evening stroll through an expanded area of the zoo that’s been transformed into a fantastical wonderland populated by glowing light animals rendered by lasers, 3-D projections and musical water-and-light displays. 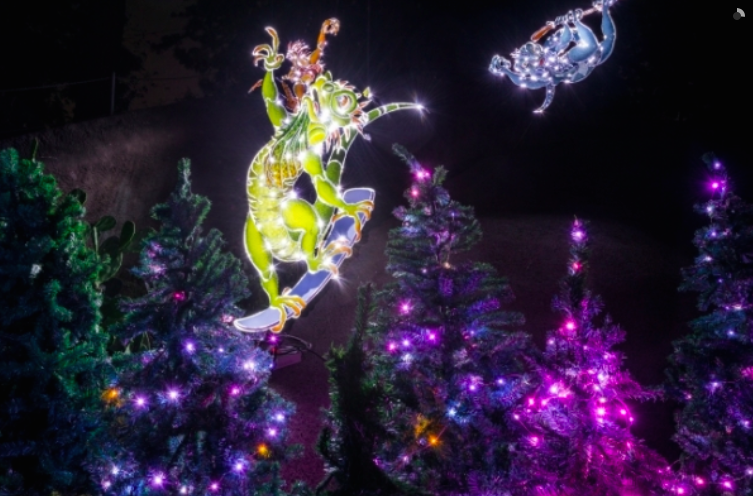 Delight in mischievous light-monkeys run amok, a giant origami rhino, fanciful elephants, a giant glowing snake and, of course, a gathering of real, live reindeer lit up by twinkling chandeliers at Reindeer Village. 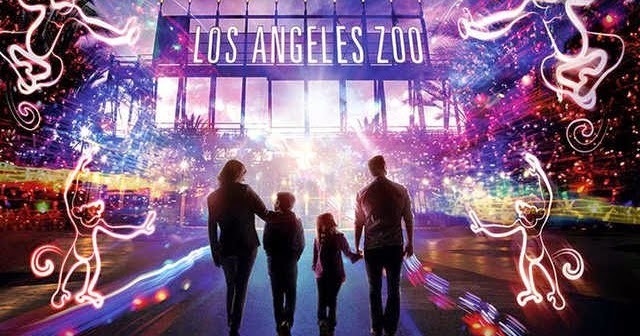 This year’s LA ZOO LIGHTS features dazzling additions, such as a blacklight party within the LAIR reptile house, a reimagined water show, and a pair of real-life reindeer fawns. Complete the seasonal cheer with holiday treats and hot chocolate to warm your fingers on a wintery night. Santa is also on site on select dates. TICKETS: full price $9-18, LA Zoo Discount Tickets $7.50-13, kids under 2 are free. 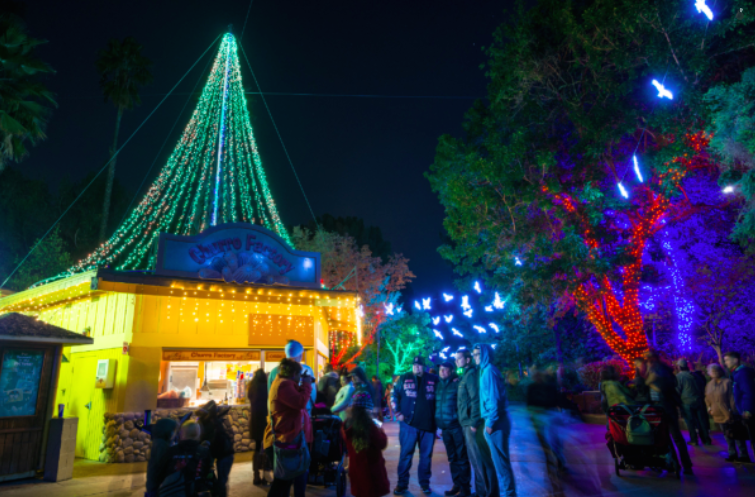 LA Zoo Lights will be open nightly from November 18, 2016 through January 8, 2017 except on November 24, December 24 and 25. ZooLAbrate the Holidays! L.A. 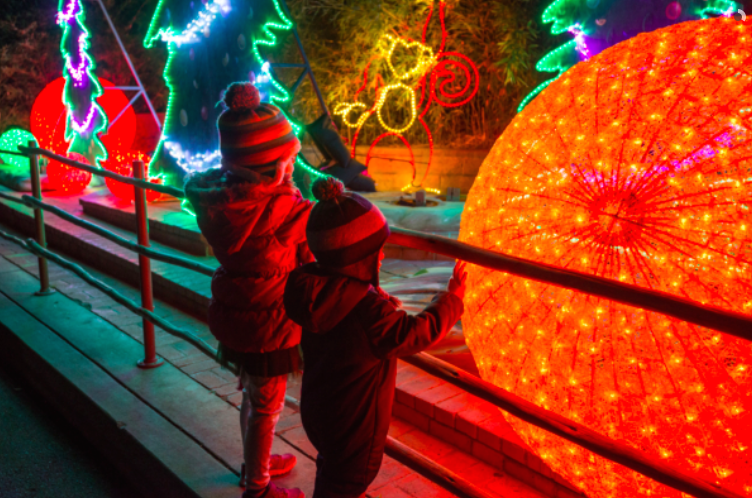 Zoo Lights is a not-to-be-missed nighttime holiday light experience that debuted in 2014 and has grown each year since. 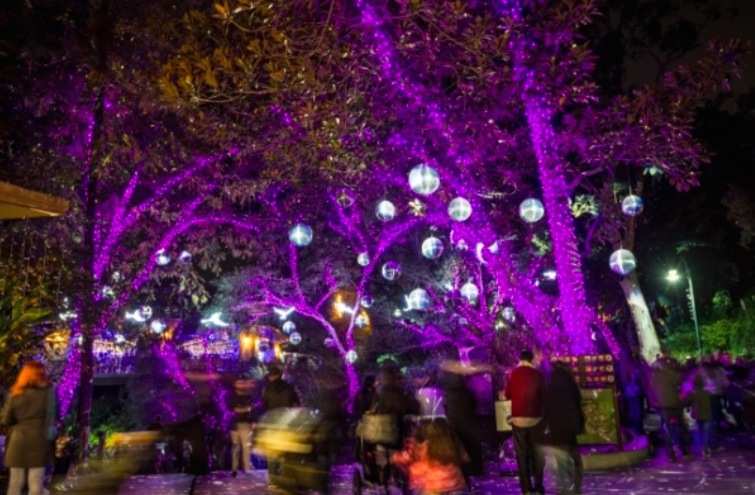 LA Zoo Lights 2016 promises to be even more magical, as LA Zoo “ZooLAbrate” their Golden Anniversary with more lights, and more nights. Take a 60- to 90-minute stroll through a large area of the Zoo featuring animal-themed LEDs, lasers, 3D projections, and animated displays. Dazzling new features include interactive photo ops, a “black light party” within The LAIR reptile house, and a reimagined water show. Capture your holiday memories in a photo with Santa Claus (on select dates). Meet LA Zoo’s live reindeer family! 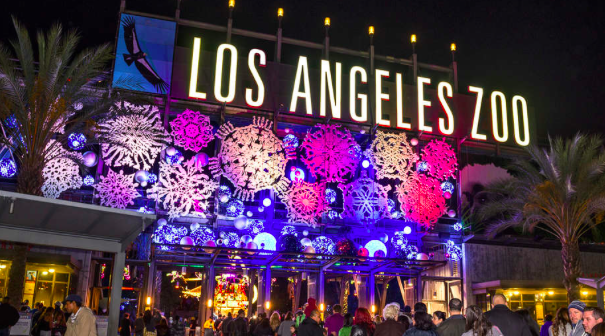 Since LA Zoo Lights is a special event, the only animals on display will be the reindeer at Reindeer Romp Village and critters within The L.A.I.R. The rest of the Zoo’s animals will be off exhibit and snug in their beds. This event is rain or shine. No refunds or exchanges. 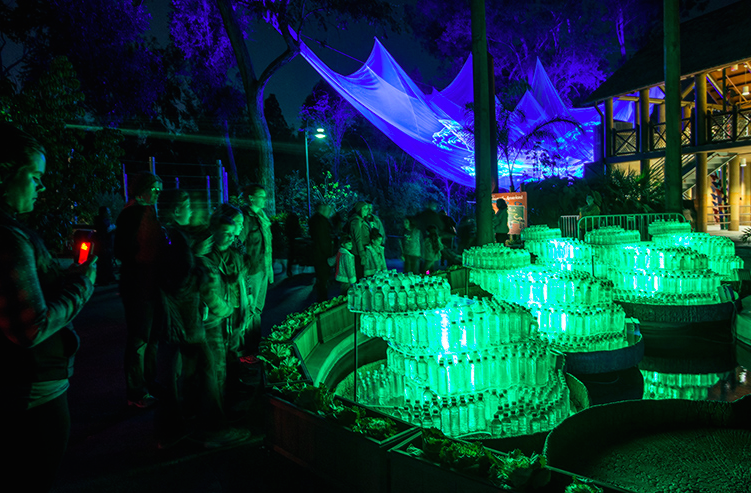 New to LA ZOO Lights 2016 are celebratory 50th Anniversary “ZooLAbrate” elements and a reimagined water-and-light show. It’s an outdoor event. Dress warmly. LA Zoo Lights parking is free. Admission for this all-ages evening program is separate from daytime general Zoo admission. LA Zoo Lights is for all ages. Kids under 2 is FREE. 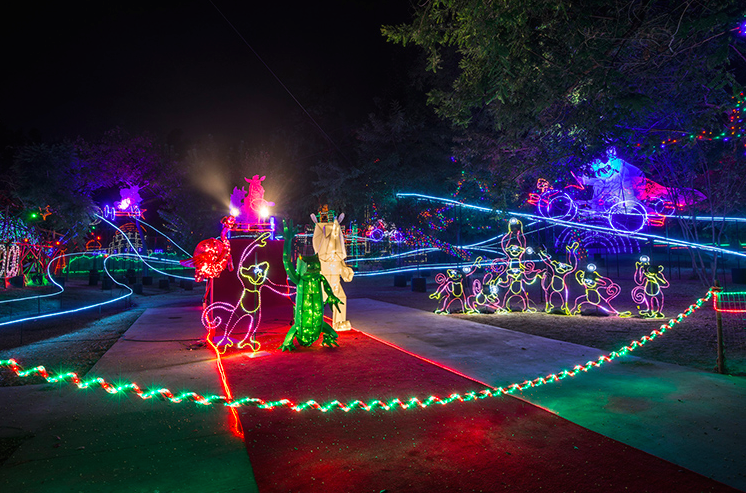 Strollers and wheelchairs are allowed at LA ZOO Lights. Outside food and beverages will not be allowed inside the event. disclosure: this post may contain affiliate links. All photos are by LA Zoo.